Uncle Bub’s BBQ is proud to support our local non-profit organizations with our fundraising program. Please plan your date 4 weeks ahead of time. All fundraising organizations will need to submit a W-9 form prior to the event. The organization is responsible for submitting a logo to be used on our Standard FUNdraiser Flyer which will be forwarded in JPG format to be printed and distributed by the FUNdraising organization. Fundraiser campaign can last the entire business day, all you need is a print out of the flyer to start raising money! 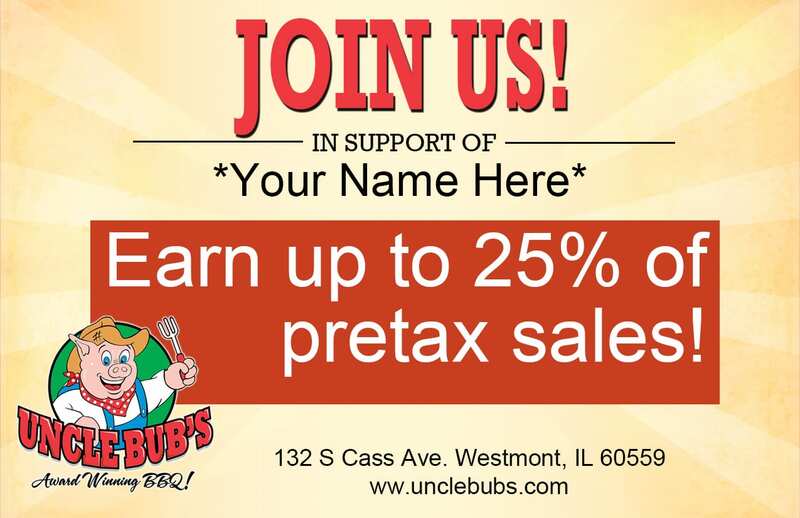 The day of your event: Stop in and enjoy Uncle Bub’s favorite BBQ while raising money for your cause!